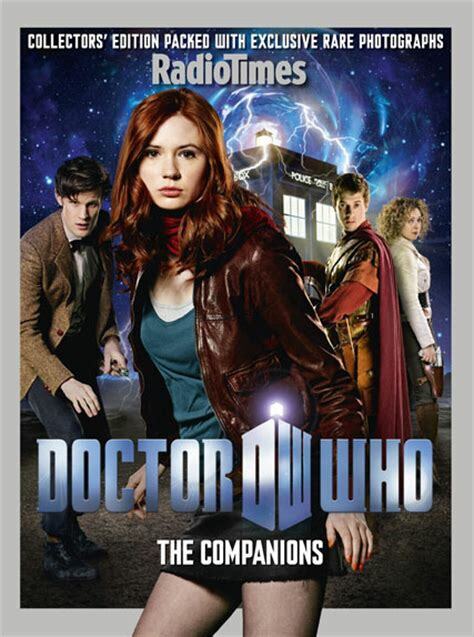 The Radio Times Doctor Who the Companions Collectors' Edition was a special one-off magazine. 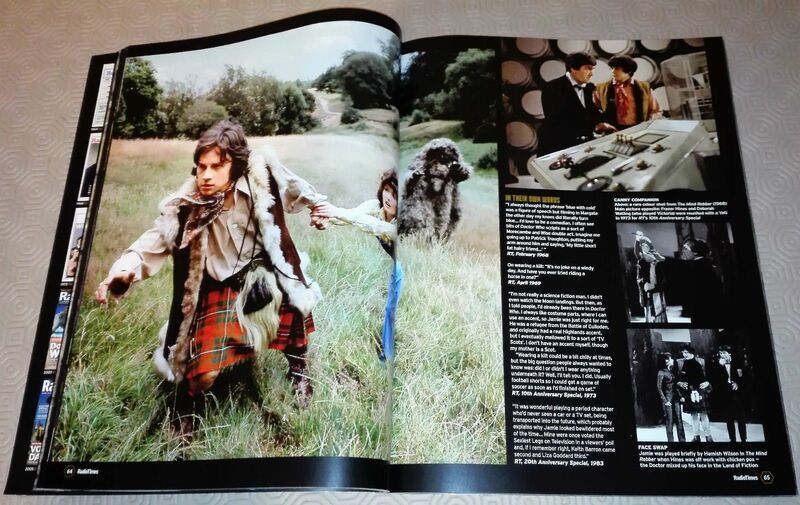 A fully illustrated collection of cover shoots and Radio Times rare exclusive photographs covering the companions of Doctor Who series up to and including The Big Bang along with new interviews. Collector's edition packed with exclusive rare photographs. Features for each companion include character guide, dates and associated Doctors, memorable moments and "In Their Own Words" gives quotes taken from RT interviews. All photographs are captioned. Mel's surname "Bush" is never given on screen, even though her character outline was given a surname. 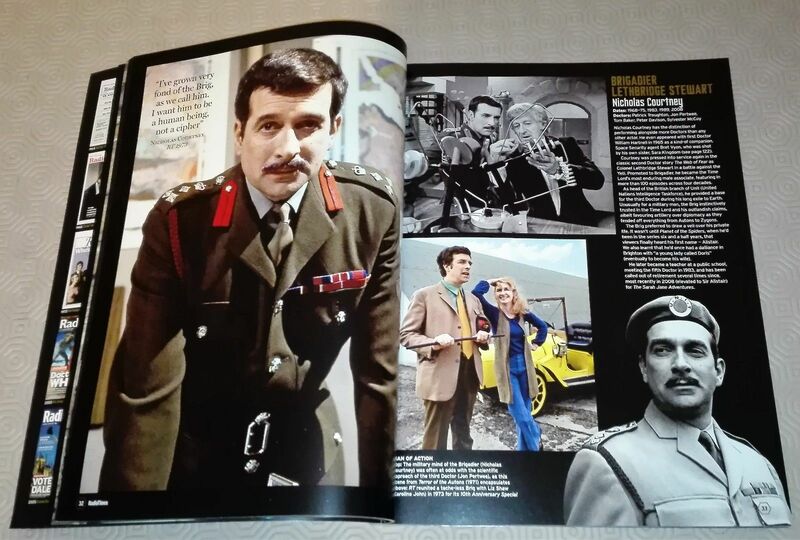 The Brigadier Lethbridge Stewart's surname in the listings is not hyphenated. 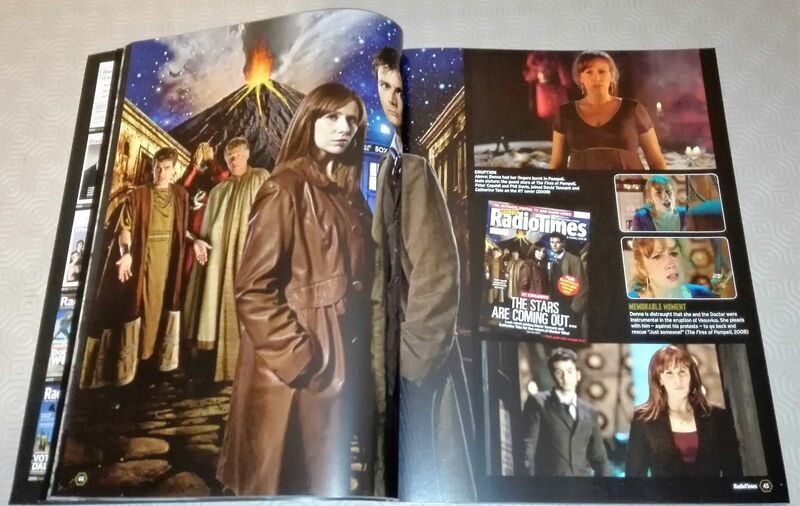 The inside covers present an updated gallery of all the Radio Times Doctor Who covers up to 2010.